American Oak Chips will allow you to imitate storing your wine in an oak barrel adding complexity without the expense. A medium toast will give you notes of vanilla and caramel. For white wine, 1 cup of chips is recommended. Try 2 cups for a red wine. Put the chips in a hop bag for easy removal after use. Simply boil in water for 10 minutes, then drain and place the chips in your plastic or glass fermenter before transferring. 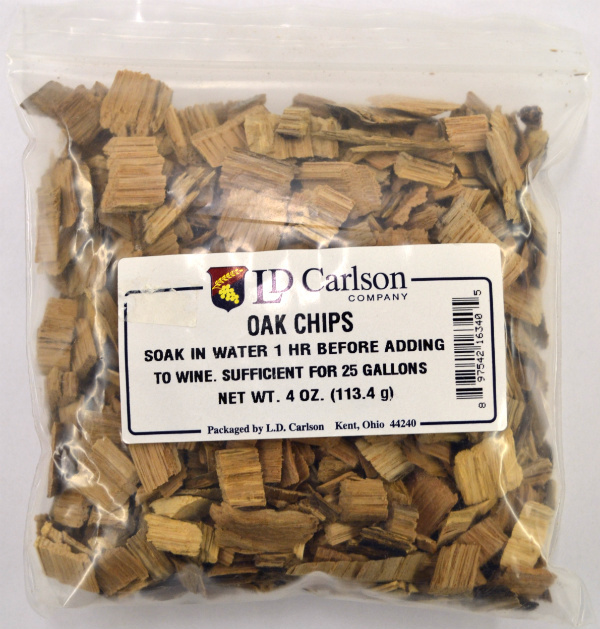 For a little less of a bite try using our French Oak Chips.